In the spring and summer soups need to be quick and easy, it is not the time for the heavier soups of the winter. 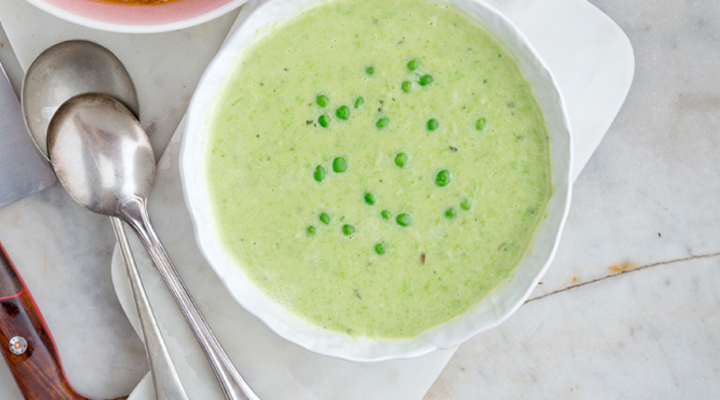 This Pea and Mint soup is so easy; you will be delighted in its simplicity. Heat the oil in a large saucepan set over a low heat. Add the leek and cook for 5 minutes, until softened. Add the butterbeans and stock and simmer gently for 15 more minutes. Add the frozen peas and cook for 5 minutes, then add the mint. Using a stick blender, purée the soup until smooth. Season to taste. To serve, ladle the soup into bowls and garnish with the whole peas.